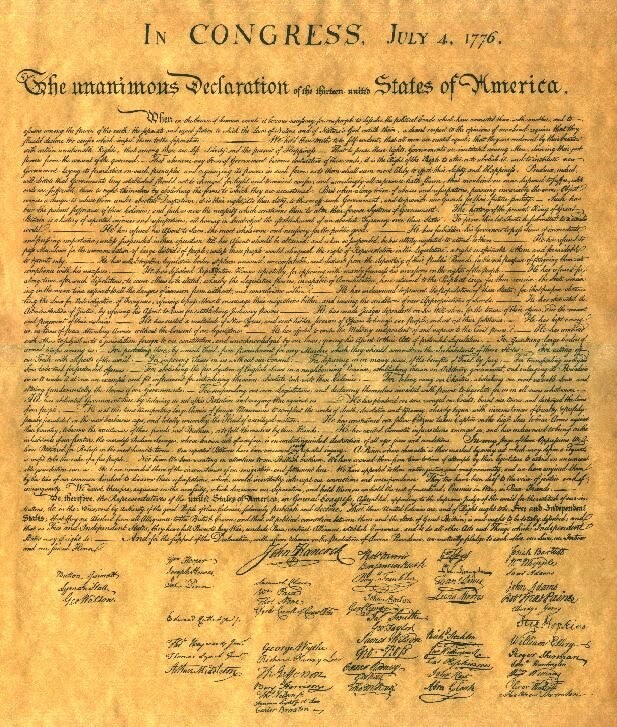 In the run up to tomorrows celebration of July 4th, I hope that you will take the time to read the Declaration Of Independence. If you have never read it, well, you should. History repeats itself when we are not watching closely. And afterwards, when all of the analysis is done, you are left wondering why we didn't forsee this thing or that thing coming. 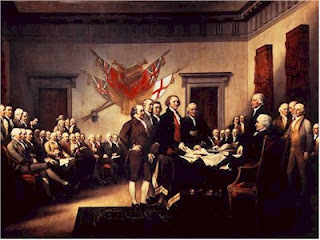 These men went far out on a limb to create a new society and they paid a price for their actions. 5 were captured as traitors, 12 had their homes burned, 2 lost sons in the war, and 2 sons were captured and imprisoned. Thomas Nelson of Virginia was present at Yorktown where British General Cornwallis had made his headquarters in Nelson's home. Nelson instructed General Washington to lay waste to it. John Hart was driven from his home and his wifes deathbed, his 13 children were scattered and his fields and home were burned. Delegates Norris and Livingstone suffered the same fates. Francis Lewis lost his property, his wife was jailed and died in prison. 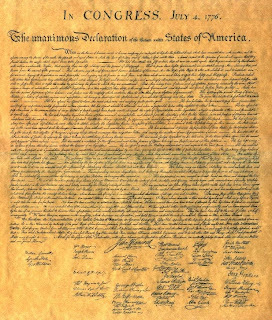 These are just the more extreme examples of what happened to these men, whose lives would be forever changed by their signatures on this document. These were 56 extraordinary men, of whom 24 were lawyers, 11 merchants and 9 farmers or plantation owners. They all had something to lose by signing this document. So here it is, complete with the names of the original signers. I hope that you will take a moment and read the full text.